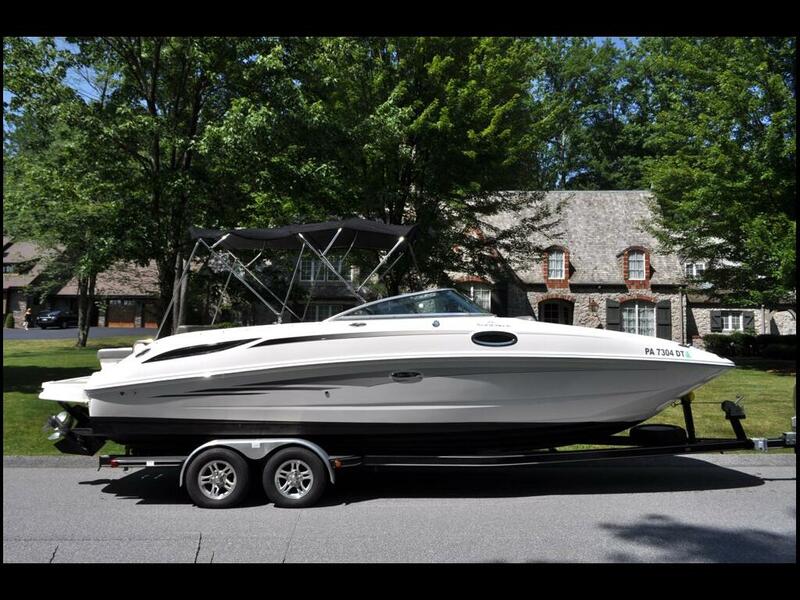 Used 2011 Sea Ray 280 Sundeck for Sale in Indiana PA 15701 AutoSport Co.
For sale is a super clean 2011 white 280 Searay Sundeck that is in excellent shape inside and out. The white gel coat on this 28 foot bowrider is super clean as well as the white and dark gray interior. This boat features a Mercury MerCruiser 350 mag engine with only 249 hours that is coupled to a bravo three out drive to get it up to plane quickly. The upgraded Sony stereo with a subwoofer sounds great in this boat. This boat features a onboard bath room with a 20 gallon water tank and a 10 gallon holding tank. This SeaRay is in great shape and is ready for the lake!! Message: Thought you might be interested in this 2011 Sea Ray 280 Sundeck.